After Eclipse restarts, we need to verify whether the plugin got installed successfully. 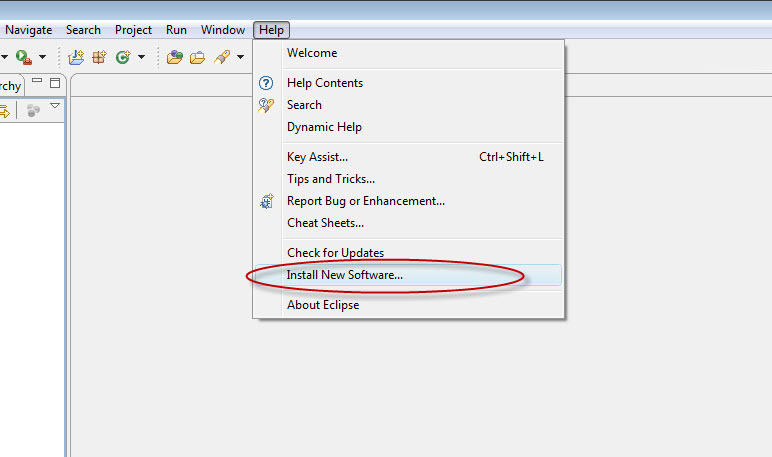 We will do this by first choosing the Windows menu and the Preferences option of Eclipse. 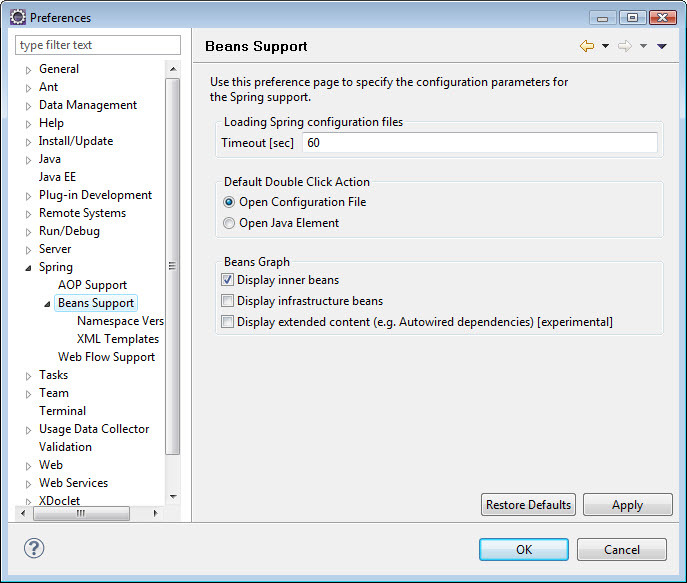 We can then see Spring option in the left hand side item nodes in the preferences dialog. Choose the Spring option and it will expand to show three sub items. 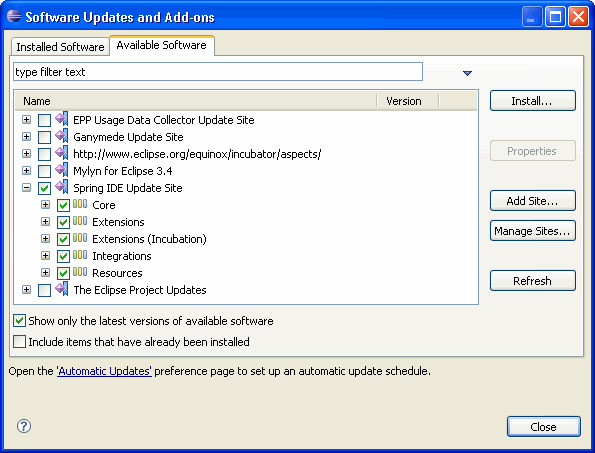 This confirms that our Spring IDE plugin has been installed successfully in Eclipse. If you have any problems while installing as per above steps and get any error message in Eclipse IDE, read through the error message and don’t hesitate to uncheck that perticular plugin in the list where you have a problem (provided its optional). You can always install the plugin manually anytime again. 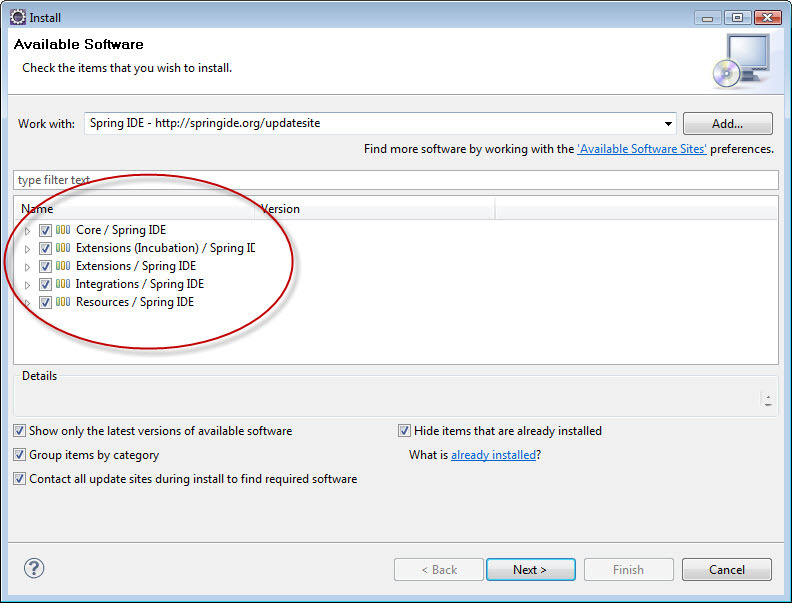 In this case, as AJDT (AspectJ Development Tools) integration plugin is an optional update and if you have trouble installing it while updating the entire Spring Framework plugin, you can uncheck this plugin from the displayed list and continue to install other updates. You can always install the plugin manually anytime again. After doing so, and clicking on ‘Next’, you should do away with the error message and be presented with the License Agreement wizard upon selecting which your installation should be complete. Refer to other posts in Spring Framework category for further knowledge. Refer to other posts in Spring Installation & Configuration category for further knowledge. I already installed Spring Tool Suite. Really helpful. I just followed the instructions as they are presented here and it really worked for me. Thanks. Thank you for this tutorial, really helps! i need to know whether STS supports struts 1.x and hibernate out of the box or not? if so how? i have some requirements where i need to use struts as front end with hibernate and spring. Looking forward any help in this regard. Thank you. Its not really a trouble using Spring IDE in Eclipse, its just like installing any other plugin in Eclipse. Many people are familiar and fond of Eclipse and also use it with other plugins for developing their existing applications (Hibernate etc). This post can be of use to those who want to stick with traditional Eclipse and want to know how to integrate / work with basic & proven SpringIDE (which STS also uses) before using other comprehensive tools. Yes, its great to have this tool from Spring Source. 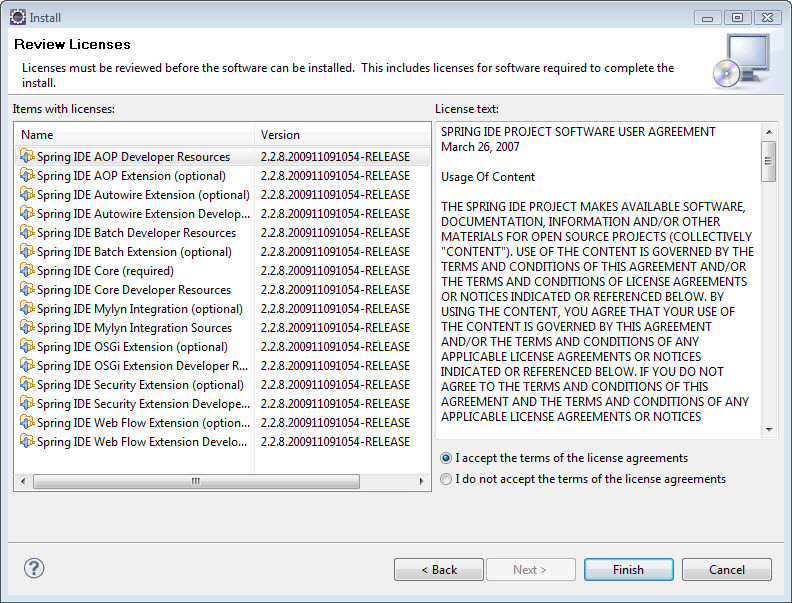 From April 2009, SpringSource Tool Suite (STS) has been free to download. 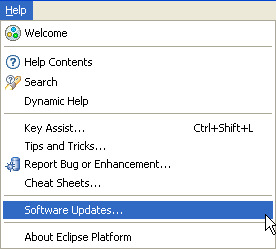 Since, STS is built on top of the Eclipse technology stack, the look and feel of the UI is very Eclipse. 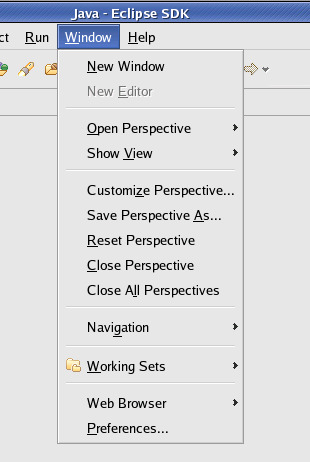 And it can be installed and used with Eclipse 3.5 as a plugin as well. It brings best of both worlds (Spring & Eclipse) together. It includes the Spring IDE, the AspectJ Development Tools (AJDT), AspectJ, and Mylyn. Coming posts will be covering this tool in detail. In fact, I will be posting examples in ‘Exploring Spring Framework’ series developed on STS.